Welcome aboard Orion Cruises. 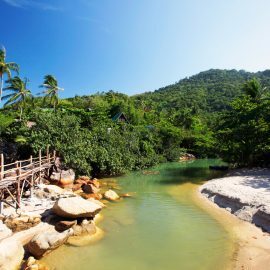 "The Only way to see the Marine Park Islands"
Angthong National Marine Park Islands is an archipelago of 42 islands and is a protected area, famous for its natural beauty, situtated in the Gulf Coast of Southern Thailand abundant with coral and marine life, and natural beauty. LOW SEASON SCHEDULE - Mondays, Wednesdays, and Fridays. These islands hold some wondrous hidden treasures and what better way to enjoy these sights than with Orion. Angthong, literally means 'golden bowl', and occupies almost 250 sq km and includes 50 sq km of limestone islands. Rocks cliffs and rock formations rise dramatically from the sea. Caves, hidden lagoons and white sand beaches are there to be explored and snorkeling among the shallow coral gardens. 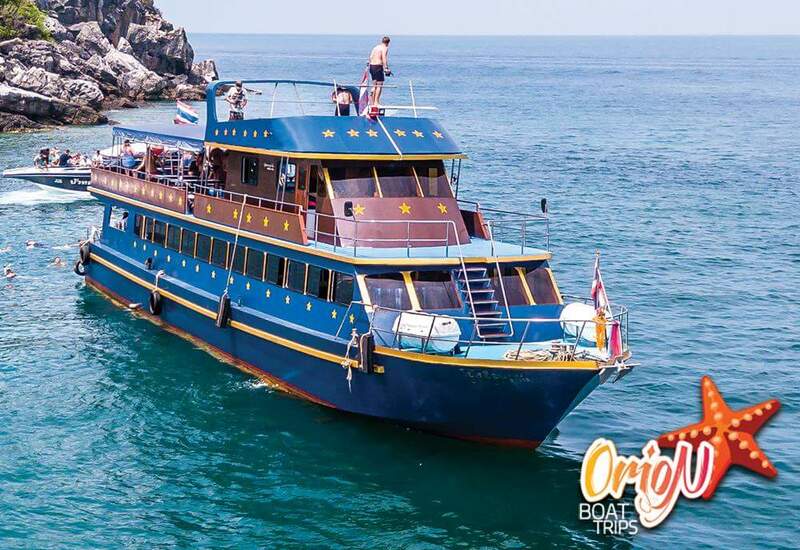 The boat leaves from Thong Sala or Ban Tai at 9 am (departure point dependable on the weather and sea conditions), and returns at around 5.30 in the evening. Upon arrival at boat, there is an array of snacks, fruit, soft drinks, and tea and coffee to welcome you aboard. Journey time is about one hour! Swimming and Snorkelling at Koh Wao, or KohTay Plow. Snorkelling in crystal clear waters, you will see a great variety of beautiful tropical fish, and other marine life. Orion is fully equipped with top-quality snorkelling gear. Lunch is a delicious help-yourself buffet of traditional Thai food, including spicy curries and seasonal fruit. Ao Ka Beach at Koh Wua Talap Island. 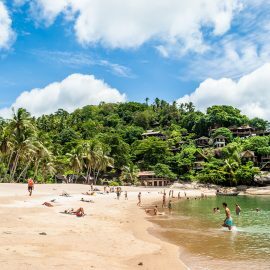 Here you can choose to go to see the caves with beautiful limestone formations which is about 50 minutes walk or to the view point, or just relax and enjoy the beach. Probably one of the best hikes in the islands of the Gulf of Thailand. Here, there is a path leading up the side of the rocks. This will take maybe 40 minutes to walk up, and well worth it. But be warned, this is not a hike for the faint hearted. Make sure you have good footwear as there are sharp limestone crags which will be your foothold, especially towards the peak. 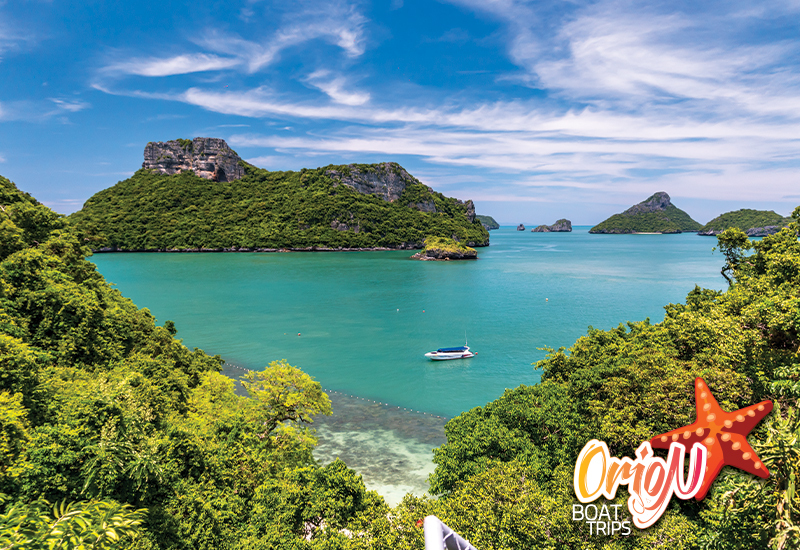 With a breathtaking view of all the Ang Thong islands, the end result of the hike is well worth it. This trek will justify the trip to Ang Thong alone. Here if you have chosen kayaks, you can kayak to the lagoon here and explore the rock formations and caves. On Mae Koh we visit the beautiful emerald lagoon Talay Nai, surrounded by steep limestone cliffs, where the scenes are breathtaking. A short, steep climb to the viewing platform offers a stunning panorama of the picturesque islands that form the National Marine Park on one side, and a breathtaking view of the emerald lagoon on the other. 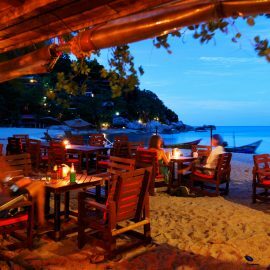 Arrive back in Koh Phangan, and transfer back to your resort. Please note that Orion does not follow a strict programme, but this is just to give you a rough idea of the day's plan. If during the day, the weather conditions alter, then the plan changes. 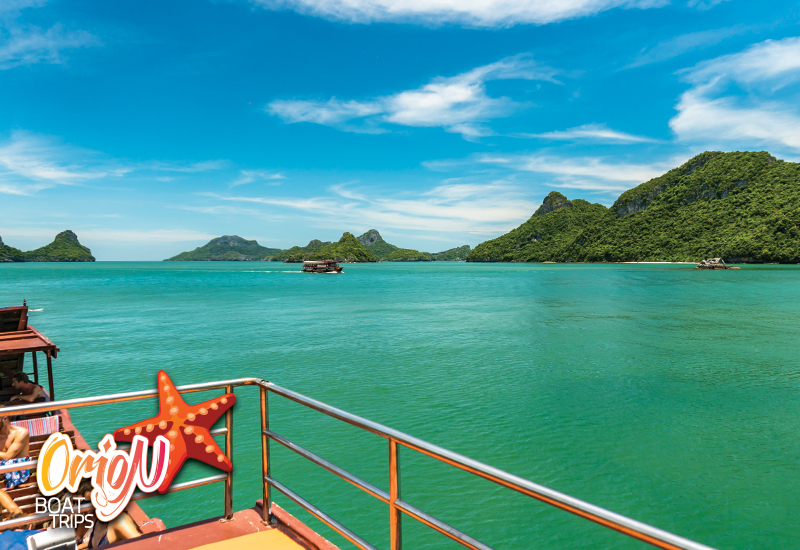 In this fast developing world of construction and constant transition, cruising out to Angthong in the comfort of a big 22 metre wooden cruising vessel, one is assured fun, adventure and space. Orion has been specifically designed for these seas, and rather than in a speed boat, where one is tightly packed in, Orion rewards her passengers the chance to really enjoy the ocean and all its gifts. children age 4-10 years HALF PRICE ONLY! children age under 4 years FOR FREE! 300 Baht entrance fee is NOT INCLUDED! Orion is also available for Private Charter! 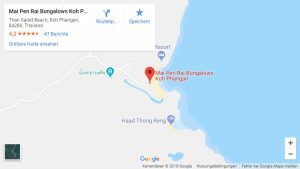 For more detailed information, bookings and reservation please feel free to contact us or visit our partner website www.phanganboattrips.com - thank you!